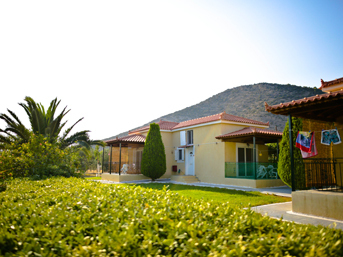 The Capari Ermioni Appartments are into four houses into a 12 acres farm. The farm abuts the coastal road Ermioni - Porto Heli. 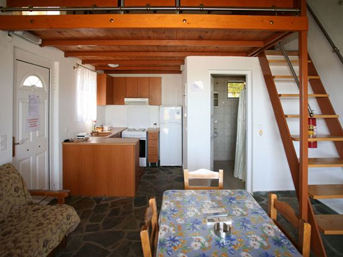 It is just 30 meters from the sea and 1 km from the city. The appartments have a wonderful view to the magnificent Gulf of Capari. Let us help you make the most of your holiday unforgettable by offering you precious moments of relaxation in the beautiful garden and the crystal sea. Each residence in Capari apartments consists of a single space 30 sq.m, a bedroom in a loft 15 sq.m.and terrace 15 sq.m. Your car will be safe and protected in a covered parking inside the property. In the yard you will find ping - pong, playground, soccer, volleyball and basketball for fun with your friends or with your children. 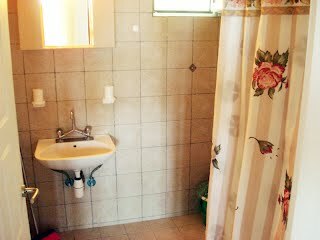 Each apartment has a bathroom, fully equipped kitchen with refrigerator and cooking utensils, TV and air conditioning. All apartments have a terrace with great views of the courtyard and the sea. 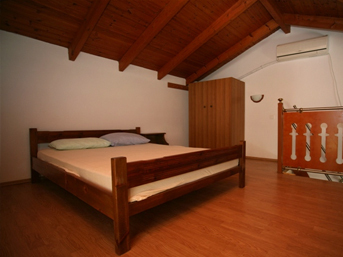 In Capari Ermioni apartments you will find everything you need to make your holiday unforgetable. The popular sandy beach of Bisti belongs to the southern end of Ermioni, where the town ends abruptly into the sea. It is actually a peninsula surrounded by trees. The beach of Bisti has crystalline calm waters and is one of the best reputed in Ermioni, not only because of the great swimming, but also because of the beauty of the surrounding landscape. Bisti beach is in an area that hosts some very important places in historical terms, as this is where the ruins of the temples of Demeter, Dionysus and Poseidon still remain. The seaside town of Ermioni is on the south-eastern part of the Peloponnese. Its independence in many aspects, such as the fact of hosting its own municipality, has gained it the title of the island-town. The typical tranquillity of small islands is also reflected by Ermioni, in spite of being part of a large terrain. This obviously also caused it to be considered an island town as well. However, many people have seen this tranquillity in combination to the beautiful beaches, the interest sites, and the friendly atmosphere that characterises Ermioni and come every year to spend a day, a weekend, or their entire holidays. However, the quietness of the place does not mean it does not count on a good nightlife, or amusing activities. In fact, Ermioni is known by its lively celebrations. Although most of them are related to religious subjects, usually these occasions are characterised by traditional eating and dancing, as well as by listening to the native music, just like in the rest of Greece. When it comes to this subject, the area of Mandrakia on south is the liveliest. It counts on traditional cafes and nice taverns where the best fresh fish and octopus can be enjoyed. These are usually accompanied by a bottle of good wine or by ouzo. Diving with dolphins…enjoy the unique experience of diving with dolphins on our specially organised trips! Special dives…diving with scooters, full-face mask and video-photographic equipment. 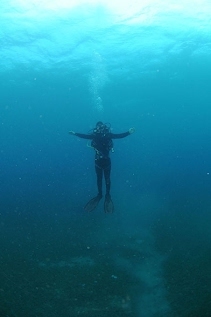 Wall dive…enjoy diving in choppy waters, along an underwater cliff face. 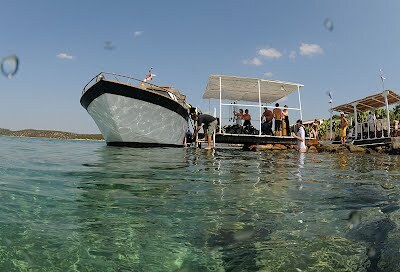 Reef dive…offers scuba divers the chance to admire the variety and beauty of sub-marine life.